My laptop or desktop PC is getting hot, is it dangerous? The causes of these can be varied and very often a major cause of this is dirt. 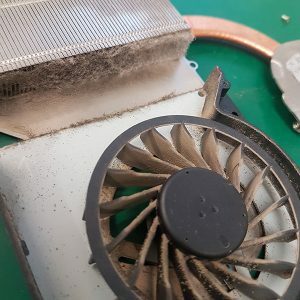 This can build up especially in vital areas such as around the fans, vents and heatsink which provide cooling to components such as the CPU and GPU. 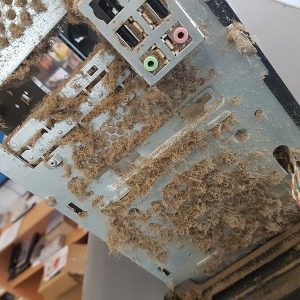 It is therefore very important to keep the internals of your system as clear as possible at all times, dust and dirt can build up inside no matter what environment your system is used in. 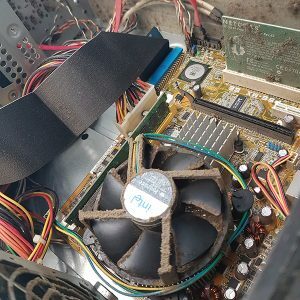 Dirt is also often a cause of other non-heat related problems such as vital component connections such as cables and memory seating errors. We recommend a regular professional clean of your system internals every 3-6 months depending upon your usage of it and the type of environment it is used in. A regular clean costs far less that a new motherboard or many other failed components. How do I minimize the risk of overheating? You may wish to use software related options and tweaks such as controlling the speeds of your fans, reducing your lcd brightness, reduce the number of startup programs, or limiting the speed of your CPU however some of these may result in reduced performance of your laptop in some cases. A laptop may be called a laptop, but your lap is the worst place for it! Although the debate is out as to whether or not using your laptop on your laptop can cause health issues, the most serious issue with regards to the laptop itself is having it sat on your lap or a cushion or bed clothing whilst using it. Unless you have a cooling pad underneath it then the material would most likely block the vents, not allowing any cool air into the laptop itself and therefore causing it to overheat and potentially damage the motherboard or other components. Our advice is to always use a laptop on a hard flat surface with room to allow air in underneath it or to use it with a cooling pad.